This is a high-performance LiPo battery pack for the Blade 350 QX/QX2/QX3 Quadcopter. 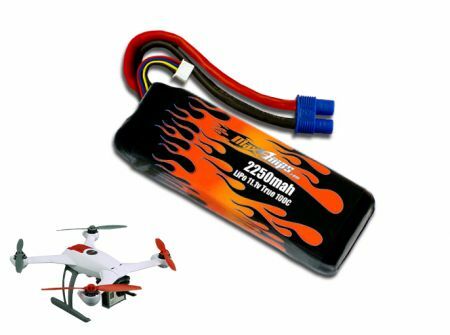 This upgrade from the stock pack will greatly improve your power and flight time. It features a 100C rating for tons of punch and extra power. My go-to from now on. I pick up two packs of 3s 2250mah nice fit an can't ask for any better thanks again my sore buggy fly's on wheel's five stars. Fit perfect in my DNA 200 B box, great battery. Very fast shipping. The customer service is outstanding! I even got a thank you card after I received the battery!!! I will definitely order here again for my next project!!! Small for the capacity and current rating. Fits perfectly in my B box mod and lasts me almost all day.